Hi, I'm Byron Kirkwood KJ5DB (kay-jay-five-delta-bravo), advanced class license. I live in a rural area in the Northeastern corner of Oklahoma, near the town of Stilwell, east of Muskogee, south of Tahlequah, near the Arkansas border. I previously lived in Carrollton (Dallas), Texas. While in Dallas I was the Treasurer of the DARC (Dallas Amateur Radio Club) for a year and a half, and a member of the Dallas County RACES. Here in Oklahoma I am a member of the TARC (Tahlequah Amateur Radio Club) and Cherokee County RACES. My HF rig is a ICOM 725 capable of 100 watts. My main antenna is a R7 vertical and I have a 70' long wire (N-S alignment) for backup. Locally I tend to be on the 147.24 TARC repeater. Besides ham radio; I am a Volunteer Fireman with the Highway 100 West Volunteer Fire Department, a First Responder, and a not so active SCUBA diver (even though I live near Lake Tenkiller, one of the best diving lakes around). Previously I was a member of the Dallas Area American Red Cross Disaster Services DAT (Disaster Action Team) and DSHR (Disaster Services Human Resources). But Adair County, where I reside doesn't have an active Red Cross group. I am the author of the book Survival Guide for the New Millennium and coauthor with my wife Annie's best-selling book Mary's Message to the World. I have also coauthored two other books with Annie. And I have just self-published my newest book How to Get Started in Your Own Business for the NEW Entrepreneur. This is a book for the person that wants to start their own business and don't know where or how to get started. 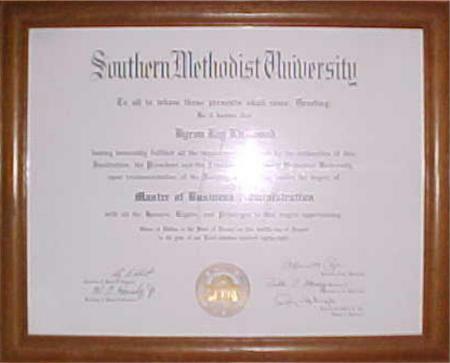 I have an EMBA from Southern Methodist University in Dallas and did my undergraduate work towards a BSEE at UT Arlington. My work experience includes working for the networking leader Novell for four years. This is my HAM web page. My main page is the B&A Products web page at: http://www.baproducts.com. B&A markets products for spiritual advancement and emergency preparedness (survival). Many of the emergency preparedness items are standard camping supplies, so if you are an outdoors person you might want to check out our products. And if you are aware of what Earth Changes means, you really need to check us out, we wrote the book on it! Check out our emergency preparedness page at: http://www.baproducts.com/emerprep.htm, or my SAR (Search and Rescue) products page at: http://www.baproducts.com/sar.htm, or our new First Responder Supplies page at: http://www.firstrespondersupplies.com. My son Brian is KB5TDJ, a Tech Plus. His wife Stephanie is KD5ASP. Her dad, Robert Hannon, is N7LEH (North Tonawanda, NY). Brian and Stephanie's son is Robert and at 9 years old, not yet a ham. My other son and daughter-in-law is Edward and Donna Kirkwood. My granddaughter is Lindsea, born Jan 15, 1997. The first woman born into the Kirkwood family in four generations. Eddie, Donna, and Lindsea are not-yet hams.